This professional Casino Style Table Brush is used for your poker, blackjack, craps, roulette, baccarat, pai gow, and even your pool table. Manufactured with a hardwood handle, offset nylon bristles and having ergonomic groves for easy gripping. 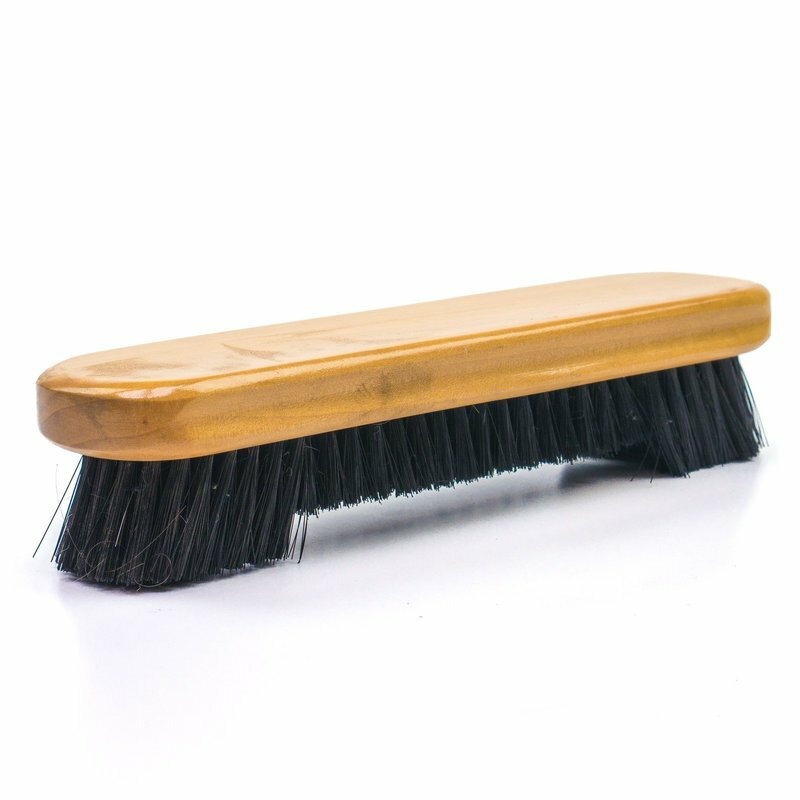 This brush is used to clean the tables with bristles thick enough to capture debris effectively, but soft enough that they do not damage the felt. The best way to brush the table is to remove the rail first. This keeps the debris from getting caught in the seam between the felt and the rail. The bristles are 2 different sizes: 3/4 inch in the middle and 1 1/4 inch on the ends. The brush measures 2 wide x 9 long x 1.75 high inches.